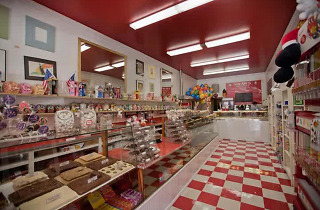 The old-timey appearance—striped awning, vintage toys and Pez dispensers, red and white checkerboard tile—isn’t just cutesy window-dressing: Shaw’s is the oldest candy store in San Francisco. It was opened in 1931 by Douglas Shaw, who developed a line of ice cream and chocolates and expanded to over 50 locations before going bankrupt. In 2005, Marissa Dhillon bought the original West Portal storefront and has kept the tradition alive ever since. The long glass case is piled with homemade fudge and all manner of chocolate-coated goodies: toffee, graham crackers, coconut, cherries, orange peels and more. Truffles are available in dozens of flavors, such as strawberry frappe and Irish cream. 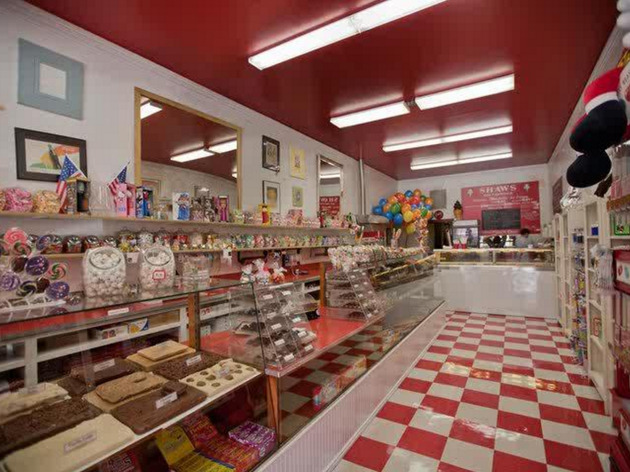 In addition to candy, you’ll find a wide variety of Mitchell’s ice cream and flavored popcorns.